This was Cape weekend, so off to Cape Raoul the next day. Despite being generally warm, it was actually a little cloudy and breezy as I sat at the end for lunch. On the return I came across a couple of people watching an echidna. The GoPro turned out to be very useful for filming him when they left. He/she was basically unconcerned about my presence, snuffling the camera several times, and me once. The Vimeo version is edited down from the 20+ minutes I spent with him. 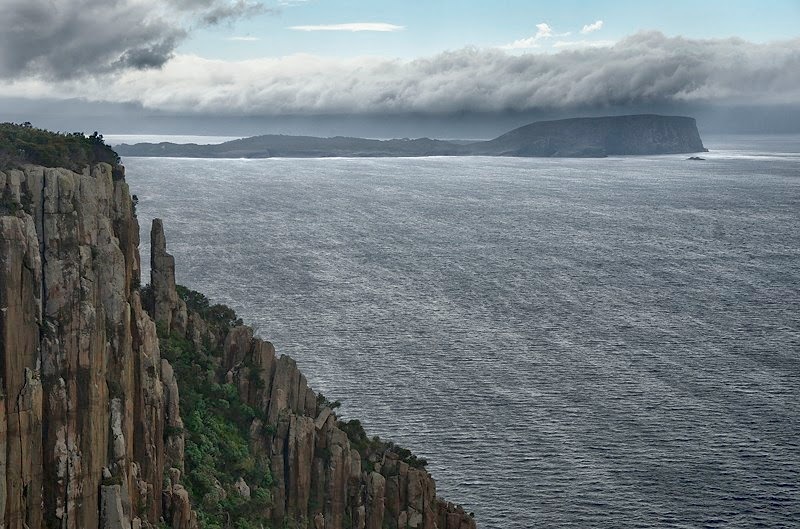 Cape Raoul from the lookout north of Mt Raoul. 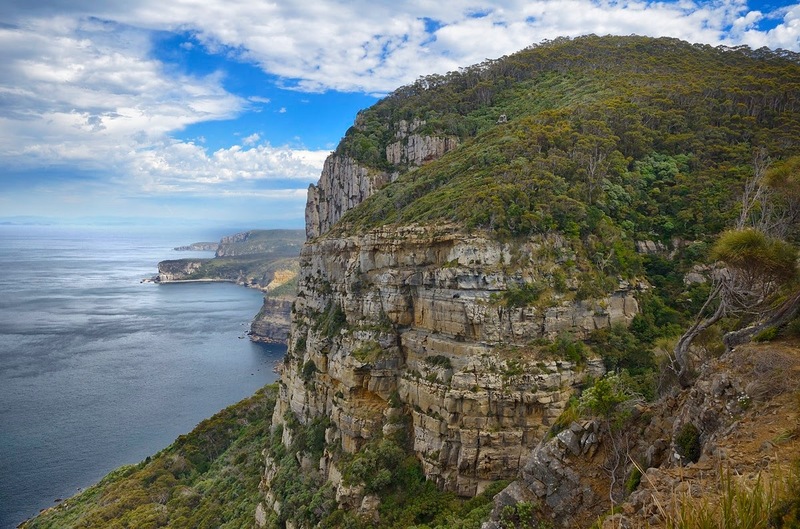 This lookout is above high cliffs, around 390m above the sea. Looking back after crossing the shoulder of Mt Raoul and descending towards the cape. Shipstern Bluff and Salters Point are in the background. Mount Brown seen under clouds, across Maingon Bay from the end of Cape Raoul. Echidna (Tachyglossus aculeatus) on the Cape Raoul Track - see following video too. 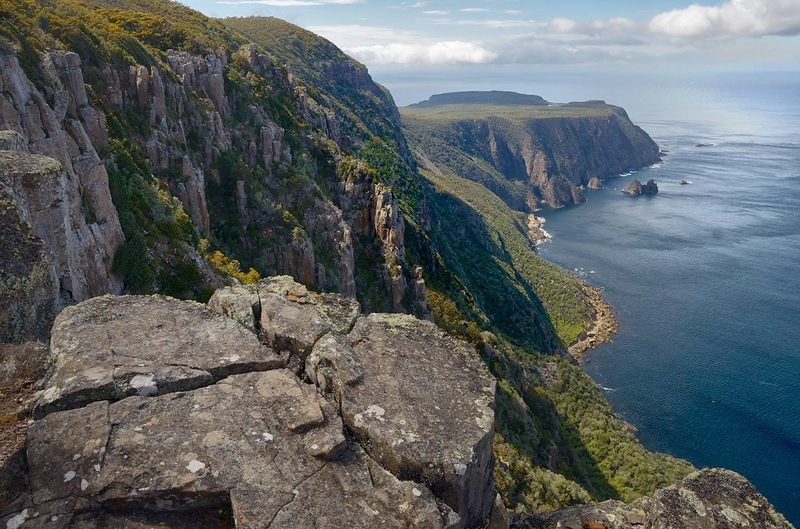 Echidna, Cape Raoul from Mark Hanna on Vimeo. Great pics, beautiful scenery. You were lucky with the Echidna. 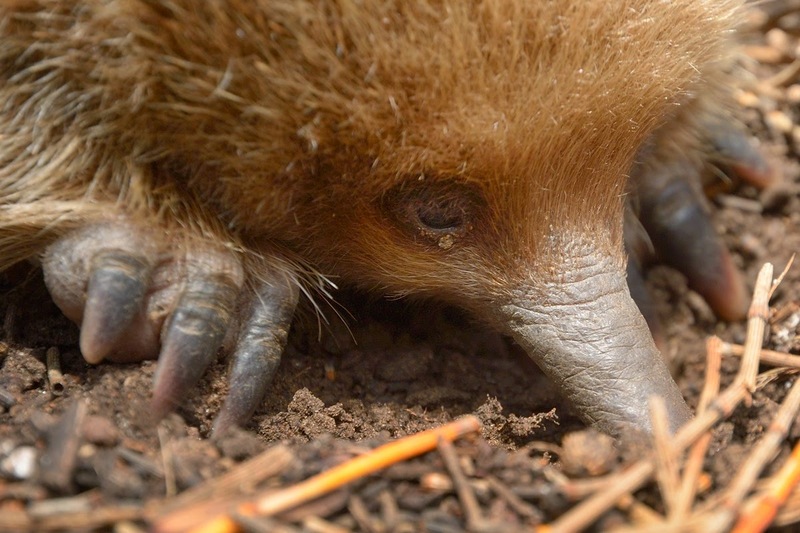 We have diggings all over the place in the forest close to the house, but no sign of the Echidna as yet. great footage of the echidna, Mark. And Cape Raoul is definitely an amazing bit of coastline. It's moving higher up our hit list now! Thanks all, glad you liked. Cape Raoul is well worth a visit.